The analysis of chemical clusters using the 4N series method has revealed that the clusters obey simple but definite mathematical rules. An understanding of these rules has led to hypothetically designing and generating functions of cluster formulas of known and unknown clusters. 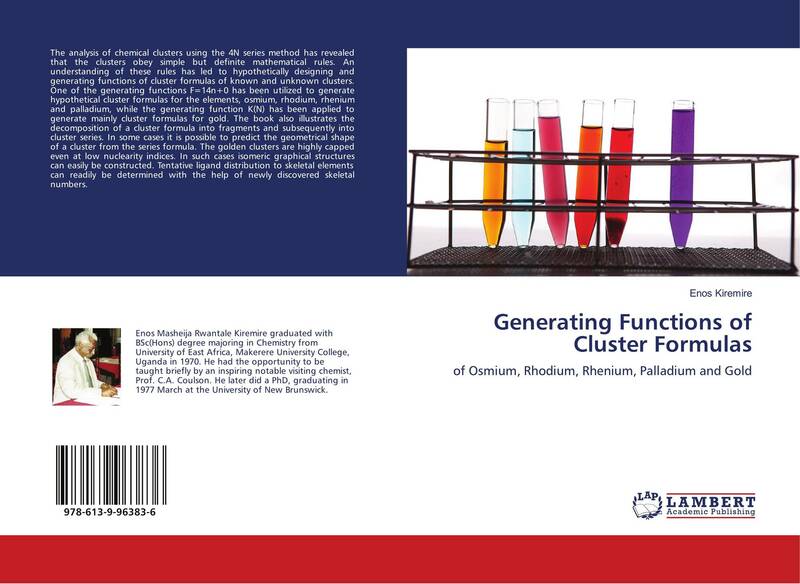 One of the generating functions F=14n+0 has been utilized to generate hypothetical cluster formulas for the elements, osmium, rhodium, rhenium and palladium, while the generating function K(N) has been applied to generate mainly cluster formulas for gold. 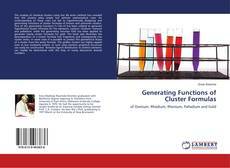 The book also illustrates the decomposition of a cluster formula into fragments and subsequently into cluster series. In some cases it is possible to predict the geometrical shape of a cluster from the series formula. The golden clusters are highly capped even at low nuclearity indices. In such cases isomeric graphical structures can easily be constructed. Tentative ligand distribution to skeletal elements can readily be determined with the help of newly discovered skeletal numbers.